Just ask and you will receive. “Ask, and it will be given you. Seek, and you will find. Our God and Father has a way of making the very complex very simple. 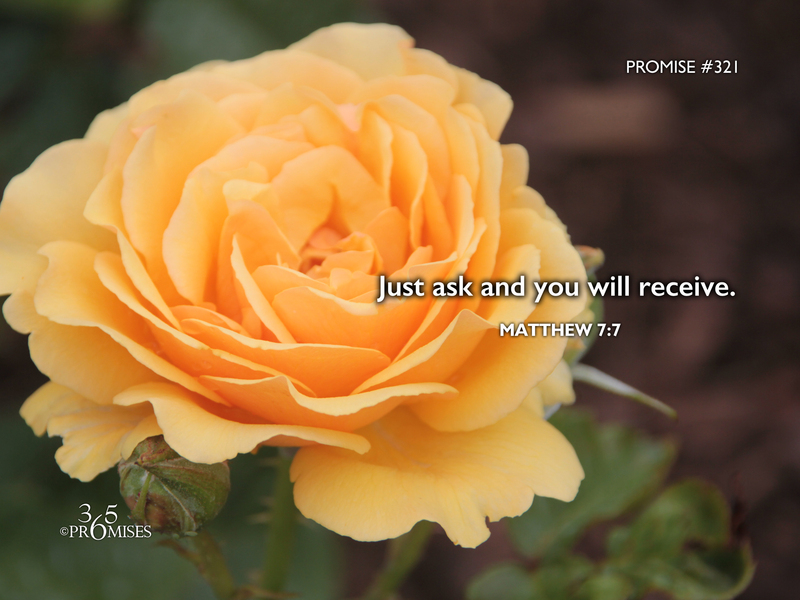 In today's promise, Jesus points us to His Father and simply says... Just ask and you will receive. Just seek and you will find. Just knock and the door will be opened. The next few verses Jesus goes on to tell us that God has a father's heart for us and He promises to give good gifts to those who will simply ask. So what do you need today? Just ask! Jesus also told us that the Father knows what you need before you even ask for it. (Matthew 6:8) So ask Him! He is the Father of Lights and every good and perfect gift comes directly from His hand (James 1:17).